We need radical change and it is needed NOW. I have spoken to many people, introspected and dived deep into my own thoughts and the processes behind it and the whole machinery outright rejects the verdict that the nation has given in giving the Conservatives an overall majority vote. Every morning, I wake up with a sense of deep sadness that millions are in or about to face suffering. I feel as if I am young Siddharta, who later became the Buddha, in the sense of feeling the deepest core of your being watching the suffering, feeling that suffering and then taken to plight to discover compassion. I have some very close friends and we were discussing the difference between empathy and compassion. In a very quick analysis, one would assume they are about the same, however the deeper you enter compassion, the bigger the difference is, even if it is a subtle one. Empathy is when you can understand the pain the other person feels. You do not experience it but you have the intention to help. The main aspects of empathy are understanding and intention. Compassion is when you feel the pain the other person feels. You experience it deeply and your intention turns into action to find the remedy. The main aspects of compassion are deep feeling and action. Now, I may never understand what it is like to go to a food bank, however I feel the pain if someone had to go. To look at themselves in the mirror or at their loved ones without any sense of hope but a deep acceptance to carry on, I understand the pain, I feel the pain, I can actually experience the pain and damn, I need to do something about this. When I say doing something about it, it isn’t in the pseudo sense of ‘I am going to achieve success, get a job, get a wife, buy a house, have kids’ type of delusional fantasy. I will be protesting against the system that has created these walls, these parameters that mean success. Why should success be individual? Why does it have to always depend on me or the idea of ‘me’? What about working as a collective, so the collective aspire together and achieve success they can share. It is hilarious when I think of the cycle of life and I wonder if I will be the same. When we are given values from our parents, we are told to share and do things together because together we are happy as our own happiness radiates to everyone. Later on, as we get older, the story changes and it is all about my grades, my university has to be better than my siblings and competition breeds the individual and sharing becomes a distant dream. Being in the community will be a waste of time. Even concentrating on the true sense of the individual like meditation will be seen as time that could be used for studying or profit-making. Then we have kids and we instil the same values as our parents did to us. Finally, we come face to face with the hypocrisy. Damn, the flashbacks begin. What happened to us? When did we become so distant from others and our own values? When do we turn back on the idealistic world we have created around wealth and come back to a reality of sharing with others, having that sense of community and living moment to moment? When do we transform into that child again? People tell me that if we all became children again there would be chaos. My reply is looking at the poverty in the world, the all-encompassing suffering, the attack on the vulnerable and those who need our love the most, can you tell me this isn’t chaos? The only reason it exists is because we think we are ‘mature adults’. The fact is we remained adolescents, growing with the enticing nature of competition and individuality, only that when we grow older, we have a few lines and wrinkles to state we are adults. Today, the politics that I believe we should aim for is a holistic one. Not one just based on economics but one based on happiness. Without happiness, even wealth becomes a poison. We have to understand that we have to close the gap between the rich and poor, we have to get rid of food banks and source our food locally, we have to stop the privatisation of our health service and make it accessible and free to all, we have to embrace the elements we have to create renewable energy. The time to make the change is now. Life will always be awesome, whatever the situation but that doesn’t mean we can’t evolve the awesomeness to new heights. We can do this, if we are all together. 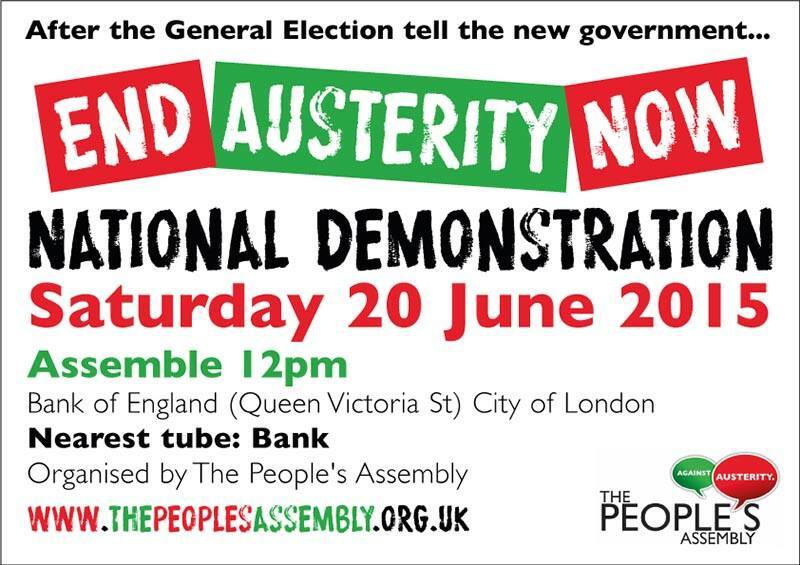 Join me on the 20th June, outside the Bank of England and let’s begin the revolution of happiness!